If you’ve seen installed drywall in your home, you know that it looks terrible before it’s finished. So why do we choose drywall as the choice option in our homes? Because drywall is easy to finish and when it’s finished correctly it looks wonderful. Finishing drywall is important because it covers the joints, and screws, so the wall is smooth and ready to take paint or wallpaper. For a seamless finish, you need professionals on the job. Our contractors have years of experience in finishing walls to ensure smoothness. Drywall texture application in Boston is gaining popularity. Although older homes work best with a more authentic looking texture like a Spanish Knife pattern, many modern homes are using the Knock-Back texture to liven up their walls. Many homeowners believe that drywall texture is a weekend DIY project, however when they realize how labor intensive the project is they quickly give up. We’ve encountered many rooms with half-finished and mismatched texture application. Instead, hire a professional from the start and save yourself both time and stress. Drywall contractors Boston understand that texture can make drywall easier to repair and mask many dents or dings which drywall picks up easily. Call us today for a free estimate on drywall finishes. 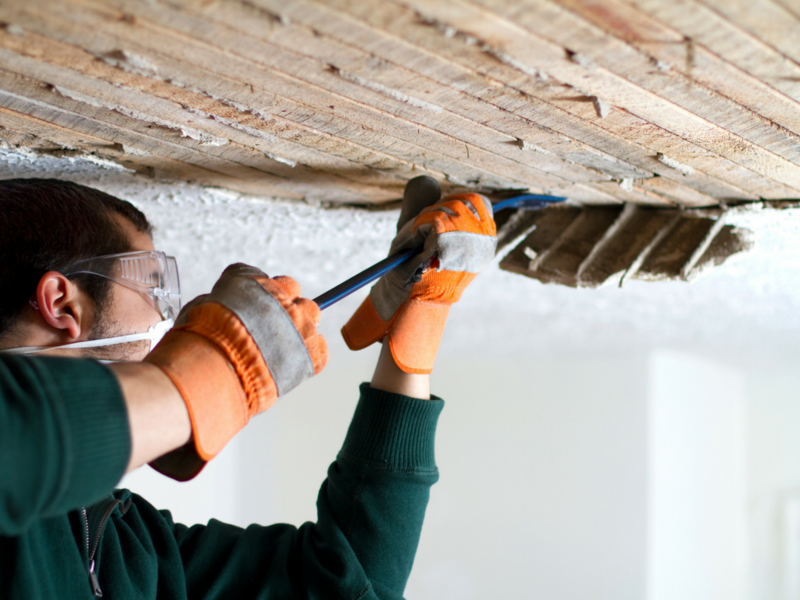 Many new homeowners are trying to repair or replace the trends of the past which include popcorn ceilings and poorly textured walls. There are many reasons to get rid of popcorn ceilings, namely that the popcorn can “shed” from the ceiling and seems to get everywhere. Trade your popcorn ceiling for a clean, smooth surface that is easy to clean and won’t trap dust. As home décor trends come and go, bad wallpaper stays through it all. Finally get rid of the wallpaper in your home without damaging the drywall behind it. Our contractors have years of experience in removing wallpaper, and we can remove the unwanted wallpaper in your home too. Although there are a variety of chemicals out there that people use to DIY the project themselves, the truth is that these chemicals don’t have the power the professionals do. We know the best way to remove each of the different types of wallpaper. Our contractors can instantly identify what type of wallpaper is in your home and remove it effectively. If you are looking up "drywall finishers in my area" you've come to the right place. We can provide the skill and necessary services to beautifully finish your interior space with great quality drywall finishes. Call us today!